Although the year has just started, it seems like the world is shifting entirely to digital, the need for a good home printer is still well and truly alive. 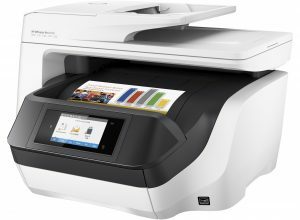 We’ve done the hard work for you and collated a list of the best home printers in Australia in 2019. 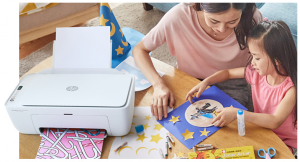 Whether you’re looking for something to print your holiday photos with, an all-in-one printer to totally DIY this year’s birthday cards, or just a regular printer for homework and annoying forms – we’ve got you covered. Home printers are like any other home appliance. Which one suits you best depends on a whole bunch of things like: how much space you have for it, what you’re using it for, and whether the extra trimmings are really necessary. The HP OfficeJet Pro is one of the best all in one printers of 2019. This one is perfect for the professional working from home or for a family with varying needs. 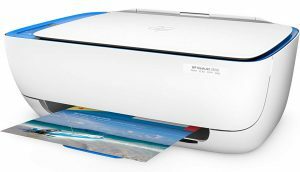 Some home printers work well after the initial purchase but can begin to lag or see problems if they’re experiencing a lot of use. The OfficeJet Pro 8720 can easily cope with the workload of a full office – so a family would experience next to no issues. This machine of an all in one printer blows its more expensive counterparts out of the water. It works quickly and is versatile, so it’s one to eliminate any family arguments – is there anything worse than a sibling squabble in the middle of assessment time? Offering printing, scanning, copying, and faxing, it can even print high-resolution images. Quick prints are also an option, print from your phone or tablet with wireless printing. This product’s only flaws are that it experiences occasional jams when doing double-sided prints and it’s a bit of a bulky printer, taking up a large amount of space. 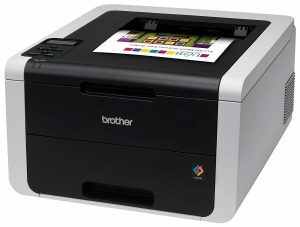 The Brother HL-3170CDW Digital Colour Printer is one of 2019’s best home printers for colour printing. This is a machine for the creative family or the freelancing creative. Its high quality prints mean art and design projects are easily covered. The amazing, true colour that prints through the ink provides perfect photo printing too. It’s a fast machine so it’ll eliminate that back-of-mind scheduling of what you can go do while you wait for your document to come out the other side. This one beats the OfficeJet Pro 8720 in duplex printing as it can produce high quality duplex prints. It syncs easily for wireless printing, so again, you can print from your phone or tablet for a guaranteed quick print-off. This one is flawed in that if you’re looking to print anything outside of A4 sizing, you’ll need to feed it through the printer’s manual bypass slot by hand. The Epson WorkForce Pro WF-4630 is the best printer for a home with a lot of people using the printer, or a busy professional working from home. It has amazing capabilities when it comes to high volume printing. It has quick print times but maintains a good quality of print. It’s not one for photos or large design projects but it’s perfect for bigger document runs and any home office needs. 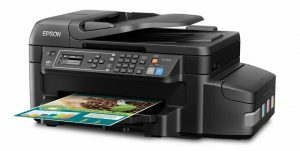 It has all the essentials – and they work well – it has wireless printing and it has scanning and copying. This one is perfect for those who care about the damage their empty ink cartridges can inflict on the environment. It uses larger XL ink cartridges so it saves costs, being more economical on ink – it’s so economical the costs even rival laser printing. 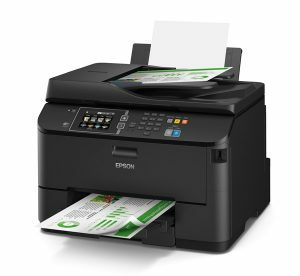 The Epson WorkForce Pro WF-4630 is the best printer for the home wanting to keep some extra cash in their wallets and keep some extra cartridges out of landfill. The HP Deskjet 3630 is the best printer for homes on a budget. It marries the two details that most homes are looking for: quality and price. One of our favourite things about the Deskjet is that while it isn’t quite as fancy as the HP Envy models, it still adds a classy look to your home office. It has all the essential features like colour and wireless printing. As with anything you buy on a budget, the Deskjet 3630 isn’t perfect… the print speeds aren’t amazing and the ink cartridges can be a bit more pricey. Overall, this is a good no-fuss printer if you’re on a budget. We touched on this earlier, but if you’re an eco-friendly household, committed to keeping ink cartridges out of landfill the Epson EcoTank ET-4550 is for you. Epson have taken lunges in the way of lowering printing costs and protecting the environment. Homes with this printer can enjoy the benefits of a printer with refillable ink bottles. The abilities of this printer aren’t revolutionary, but it can do everything you need at home, and the print quality is better than printers within the same area. Surprisingly, Epson have thrown in two years worth of ink with this package… that’s enough to print yourself 11,000 pages of black and colour. The EcoTank comes without a lot of those cool features found in some of its cheaper competitors, has a smaller input tray, and is a bit slower in print speed. This one isn’t cheap, but it cuts right down on ink costs and it comes with a three-year warranty. This entry was tagged brother ink cartridges, brother toner cartridges, canon ink cartridges, canon toner cartridges, cartridges, epson cartridges, hp ink cartridges, hp toner cartridges, ink cartridges, inkjet, printer cartridges, toner, toner cartridges. Bookmark the permalink.